Nocturnal Designz is an emerging FX shop specializing in the design and production of make-up effects, props, as well as fabrication for the film and fashion industry. We provide a range of services including: producing and manufacturing prosthetics, creature suits, Hornz, and much more. We also contract with other shops and companies for pickup and finishing work such as molding, casting, seaming and painting. 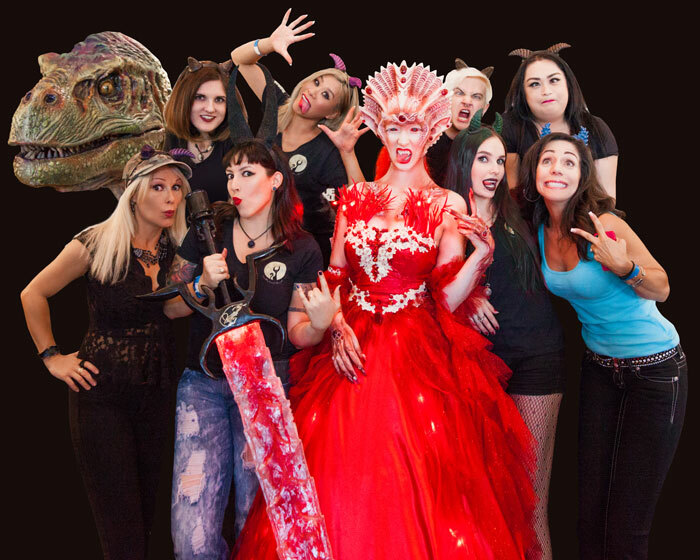 Nocturnal Designz was founded by KC Mussman in 2013, with her passion and drive to create a place for herself as well as upcoming artists has built itself into an artistic community, of support and growth- taking the makeup industry by storm. Our goal is to create high quality visuals and let our make-ups breathe life into even the most other worldly creatures. With LA's most talented up and artists Nocturnal opens its doors to a world of possibilities.